Awesome In Home Show Party Games !! These in home show party games are great for adding fun and excitement to your home parties. Find games that help book more parties, show off products, break the ice, and increase participation and fun. 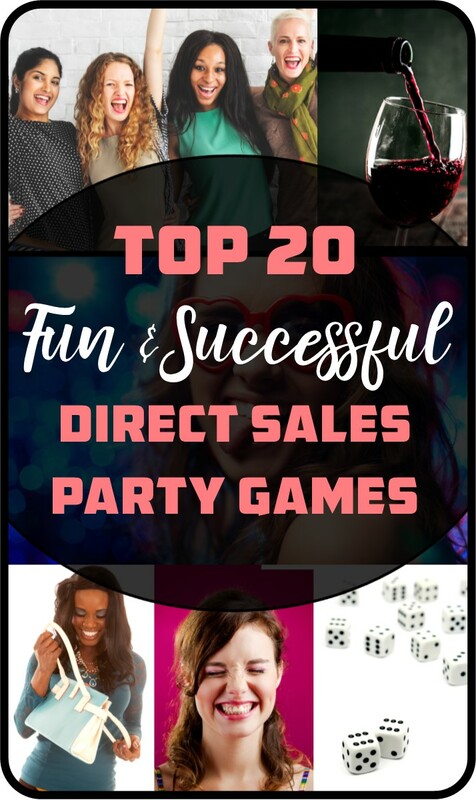 Tell us your direct sales party games and we will add it to our collection! For this game you’ll need a gift bag or wrapped present. As you are introducing you’re products any guest that already owns that product can shout out “got it, love it!” and then tell everyone why they love it. Afterward the gift is passed to them. The guest who is holding the gift at the end of the demonstration gets to open and keep it! This is another game for getting bookings. You’ll need a mystery box such as a nice jewelry box or ornate case works perfectly. Inside the box you’ll write the name of a nice gift on a piece of paper or index card. I like to use pretty stationary paper just because it’s gives the game a more style. The first lady that agrees to host a party gets to open the box and receive the gift listed inside. I bring the gift with me to their party and make sure to give it to them in front of all of their guests. Then I pull out the mystery box again with a new gift listed inside. Another way to play this game is to have enough mystery boxes for all the guests. Each box having a different prize listed inside. The only way they get to open it is if they decide to book a party, otherwise they must give it back, sight unseen, at the end of the party. This is an excellent game to play during the Christmas season. To play you’ll need to purchase around 10 glass ornaments. Remove the tops and place FREE, $5 and $10 certificates inside. Replace the tops and arrange ornaments in a basket. When you arrive at your party set the basket on the floor or table. This will create curiosity as guests wonder what they are and why they are there. Explain that whoever books a party that night will be given a chance to smash the ball with a rubber mallet and keep the gift certificate inside. The certificates will allow them to purchase any item in the catalog costing under $100 for whatever price is listed on their certificate. Along with a rubber mallet, I also make sure to bring Ziploc bags to put the ornaments in before being busted. Women really get into this game, and often book 2 or more parties from it because watching the first person smash it often gets others to want to try. Depending on the crowd you can even encourage them to write a name on the ornament before busting it. This is another game I use with my auction bucks. I let each guests go through the catalogue and pick out a product that really stands out to them. Then I ask for volunteers to come and draw their product for our Pictionary game. They cannot write words or give it away, but they can tell everyone what they would use the product for as they are drawing. Anyone who volunteers to come up to the drawing board automatically gets $10 auction bucks. The first person to guess the product correctly wins another $10 and is asked to be the next to draw.